Helmets made with a liner material called expanded polystyrene will protect your head during a ski accident, but need to replaced after the first major impact. Helmet liners made from expanded polypropylene, though, can endure multiple impacts before needing a replacement. 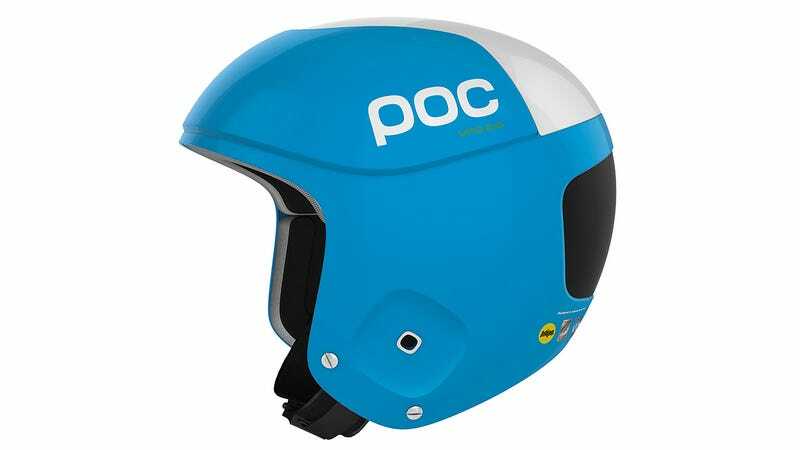 Using a series of sensors inside its liner, POC's new Skull Orbic H.I. MIPS helmet can actually tell you when it's time to buy a new one. It doesn't require you to use any kind of helmet phrenology, either. A system of stress-strain sensors located all over the helmet measure the amount of deformation that occurs as a result of an impact. These measurements are accumulated over time, and when the severity and history of impacts surpasses a recommended level, a red light (instead of green) will let an athlete know it might be safer to buy a replacement.